This cauliflower soup recipe will warm you up down to your toes. So blend up a batch to keep you toasty in the cold winter weather. The creamy taste of this soup will have your family eating their veggies, especially if they love cauliflower. You can easily modify this to use broccoli instead. Perhaps you prefer chunkier soups. If so, just lightly blend the ingredients or skip the blending all together. If you love cauliflower than this is a must try. It makes a great side dish, starter or add a salad or sandwich and turn it into a meal. 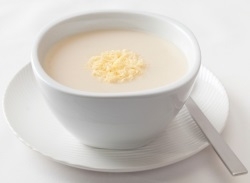 Place the cauliflower florets, bouillon granules and broth into a large soup pot over high heat. Let it come to a brisk boil. Turn the heat on low, cover and simmer for 25 minutes or until the florets are tender. With a slotted spoon, remove the cauliflower from the pot and place in a mixing bowl. Mash with a potato masher or hand mixer. Pour the broth mixture into the crock pot. Add the mashed cauliflower. Add the cream and milk into the crock pot. Add the shredded carrots, bay leaf and garlic powder. Stir well to combine the ingredients. Place the crock pot on low. Cover and let cook for 3 hours. Stir the potato flakes into the crock pot, recover and continue cooking on low for 40 minutes or until the soup is a thick as you like. Remove the bay leaf. Place the soup, in batches, into the blender and blend until very smooth. Place the blended soup back into the crock pot. Add the cheese and stir to blend in the soup. Recover and continue cooking 15 to 20 minutes or until the cheese has completely melted into the soup. Laddle into soup bowls and serve. The Weight Watchers Points do not include the carrot or cauliflower. The potato flakes are to help thicken up this soup recipe. Add more for thicker soup and less if you don't want it too thick. 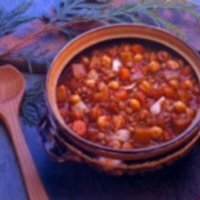 The chickpeas and lentils are the stars of this chili and are what make this special. 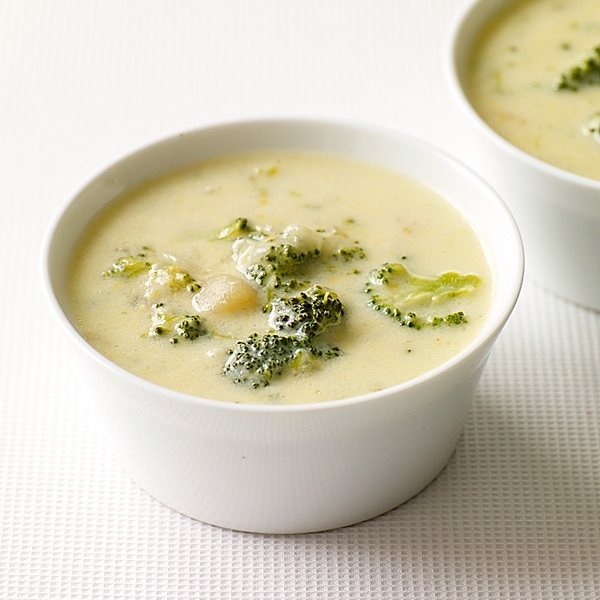 Here's another tasty creamy soup that will get your kids to love their veggies. 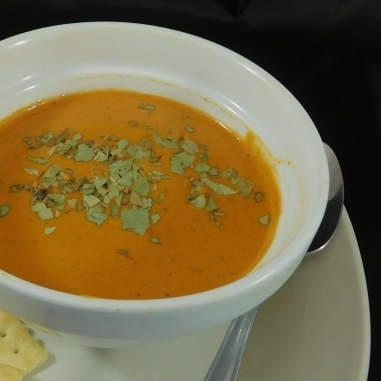 This tomato soup is made with fire roasted red peppers, basil, cheeses and more. The taste will amaze you. This tossed salad goes great with soup. 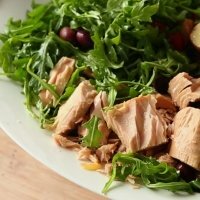 The zesty lemon French dressing blends well with the tuna. 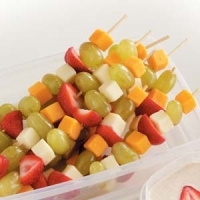 Skewer up some different fruits and cheeses for this fun to make and eat appetizer recipe. 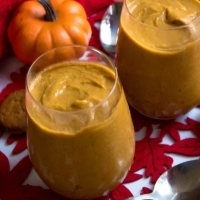 This is a scrumptious fall dessert recipe that the whole family will want. Don't just drink your fruits and veggies, make sure to eat them as well. Check out this article to learn why eating these foods has more benefit than drinking them. Soups make a great fall recipe idea. But with all the harvest bounty you have, there are many more ideas to try. Read this article to see many different ways you can use up the veggies and fruits from your garden. Eating right is not always that easy. Use these tips to help you eat healthier.